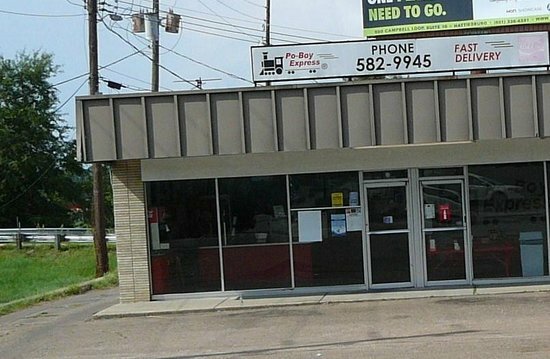 There aren't enough food, service, value or atmosphere ratings for Po-Boy Express, Mississippi yet. Be one of the first to write a review! I've been hearing about this place for a long time and never thought to try it until yesterday. I'm so mad that we hadn't tried it sooner! The catfish was light and flaky, and the shrimp was great. This place is amazing! I have never ordering anything off of the menu that was not delicious! The staff are always super friendly also. The steak bomb is by far the best so far though! The Floyd Special is my favorite! The muffuletta is delicious too! Nothing fancy about this place. Good service. Shrimp po boy is always SOOO GOOD. The Shrimp are huge, they put just enough fixins on it. The PO TATERS are always great. The service is always great. Even the delivery is fast and courteous. We eat there couple times a month. Everything on the menu is worth a try. Even the cheese sticks are good. You get generous portions. I eat every drop too! They deliver too! Get quick answers from Po-Boy Express staff and past visitors.